Dr. Keith Marty has been Parkway superintendent since July 1, 2011. 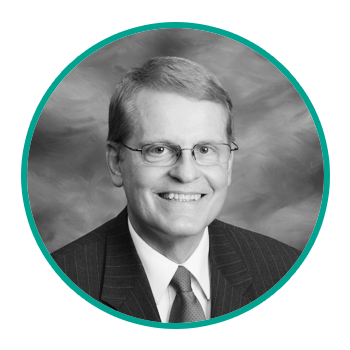 A public educator for 39 years, he previously served four school districts in Wisconsin as a teacher, high school principal, curriculum director, assistant superintendent and superintendent. For 10 years, Dr. Marty served as superintendent of Menomonee Falls School District in suburban Milwaukee. Married for 38 years, Keith and his wife Diana have four grown children and four grandchildren. One of their sons was a Lt. Commander in the U.S. Navy, and two sons have served as Marine Corps Captains. Their daughter is a registered nurse at Children’s Hospital in Fresno, California. Under Dr. Marty’s leadership, Project Parkway, the district’s strategic plan, continues to be implemented. Full day kindergarten is now in place, and important changes in school boundaries were changed to relieve overcrowding in the district’s north area. Student achievement continues to increase; Parkway ranks in the top two percent of school districts with the state’s new MSIP 5 standards. Financially, Parkway School District remains AAA- rated; strong steps are underway to assure financial stability. Major renovations have occurred from past bond approvals, and a new Facilities 2020 plan will ensure safe, sound and efficient educational environments for all students.